Openhand is a bridge to your higher dimensional consciousness, to unleash your authentic greatness: offering a 2 day intensive, with meditation, self-realisation inquiry and movement to emotive music. 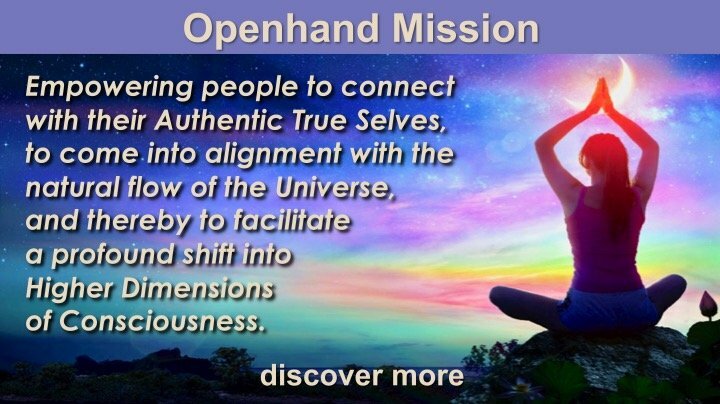 Openhand is a bridge to your higher dimensional consciousness, to unleash your authentic greatness: The new Paradigm Shift work, encompassed into a 7 day retreat, on the incredible volcanic island of La Palma, far from the matrix where the vibe is high. Unmissable! Openhand is a bridge to your higher dimensional consciousness, to unleash your authentic greatness: this is our ground-breaking Breakthrough Work, as a 5 Day retreat, on the stunning sunshine east coast of Africa in Mozambique, at the aptly named "Turtle Cove". Exploring the Intracacies of the Unfolding Earth Shift. What's Influencing Your Life Right Now? 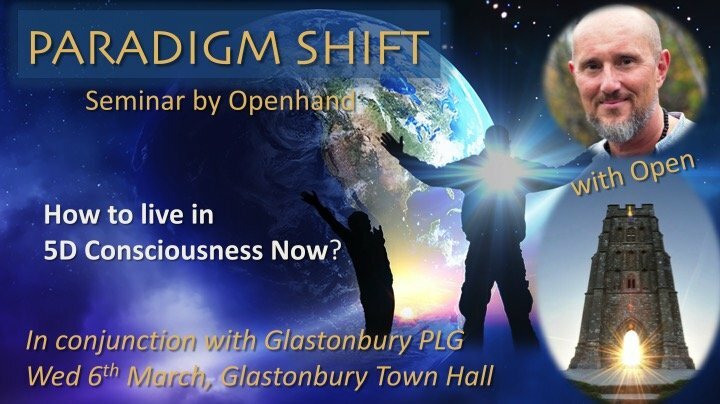 This is sure to be a high octane event in Glastonbury - a power packed 3hr seminar exploring the interdimensional aspects of the Shift, including starseeds, ET overview & Benevolence supporting The Shift. What's unfolding in the Field right now? 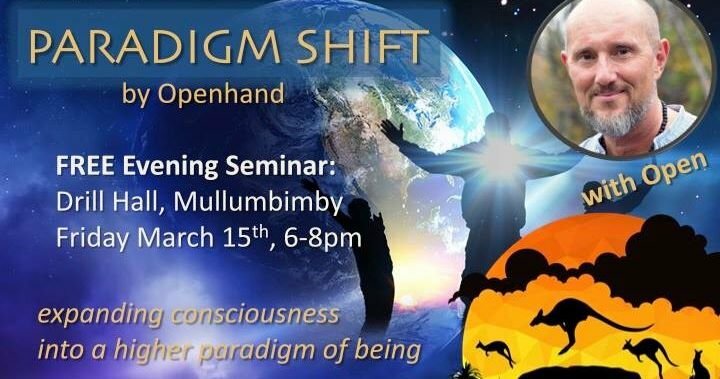 This is sure to be a deeply unfolding event in Byron Bay - an insightful 2hr seminar exploring the interdimensional aspects of the Shift, including starseeds, ET overview & Benevolence supporting The Shift. What's unfolding in the Field right now? This is the pinnacle of Openhand's work and purpose for being here - working with you as facilitators in the Great Shift, helping unleash your profound gifts and skills to benefit your lives and those you serve. Join your family in the multidimensional fields of Avebury!